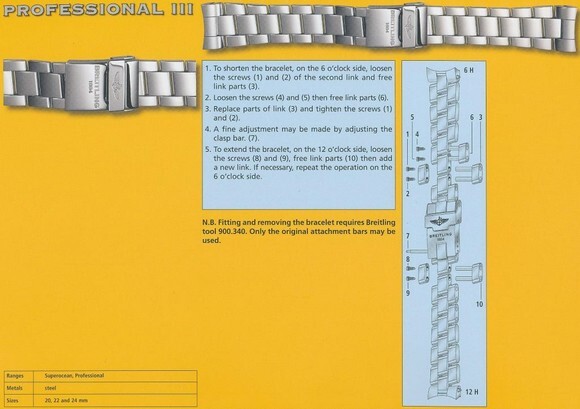 The Professional 3 bracelet was first introduced on the SuperOcean Chronograph M2000, but the style was also used in the SuperOcean GMT's integral professional bracelet. 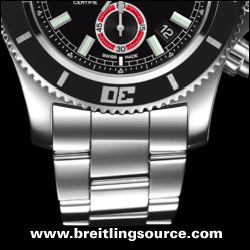 In 2012, it replaced the professional 2 bracelet on all Breitling watches. The Pro 3 bracelet incorporates the same slash-cut links of the Pro 2 bracelet but with variances in link widths, similar to an Oyster bracelet, with the middle links being wider than the outside links.